Colorado wedding lighting and décor is a delicate blend of aesthetic and technical creation that can literally be used to create an infinite number of dramatic effects. By using effective tools of varying color, intensity, shape, size, texture and contrast, these can be used to evoke a full range of moods, and emotions, from calm to excited, joy, to utter exhilaration. Frankly, no other medium exists that can establish mood more effectively than well done lighting and décor. In the end, effective lighting completes a full circle of both the emotion and performance action in any production, wedding or event, to accent words, music and movement. How does lighting and décor design develop with Amore’ Lighting & Décor? For us, it’s a lot more than just a few “uplights” or LEDs, or up-lights thrown haphazardly in the corner like the other DJs do for Colorado weddings. Your wedding, whether you realize it or not, will bring your guests on an emotional journey, from joy, surprise, friendship, laughter, love and hope. 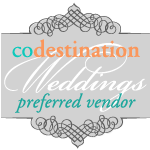 Your lighting and décor (working in tandem with music) should compliment these emotions to produce a one-of-a-kind Colorado wedding celebration, whether its a Denver wedding, reception in Vail or a destination wedding in Estes Park. “Dance with the Stars” and “Dancing on a Cloud” and so much more!